The proactive management of your reputation dictates your ultimate success, professionally and personally. Now more than ever, it is imperative that you manage and enhance your reputation through truthful words and their accompanying meaningful actions. I used to think this simple truth was a ‘given’ – it’s not. Your work doesn’t define your brand. The intrinsic value occurs only when others get your reputation right. The caveat here: this is mostly out of your hands; it’s established through others. With this in mind, the most effective strategy would seem to be to live an authentic life that directly aligns with the one you’ve taught people to expect from you. Character is not a synonym to reputation. Character constitutes who you are; reputation is the result of how others perceive you and your brand. The stewardship of your reputation is a critical and noble endeavor that reinforces trust and deepens relationships, guaranteeing profitability. The 21st century redux of ‘the handshake,’ if you will. New and better opportunities arise when the consumer reads reviews of the generous, empathetic approach you and your company employ, in solving the problem or addressing the need you provide. A study carried out in 2016, cited that 74% of potential customers state that when they read positive reviews, they have more trust in a service provider. Lies become fact if you let them. It’s been my experience in working with clients, that as the Internet continues to grow, your personal brand, as your business, will be seen and judged. 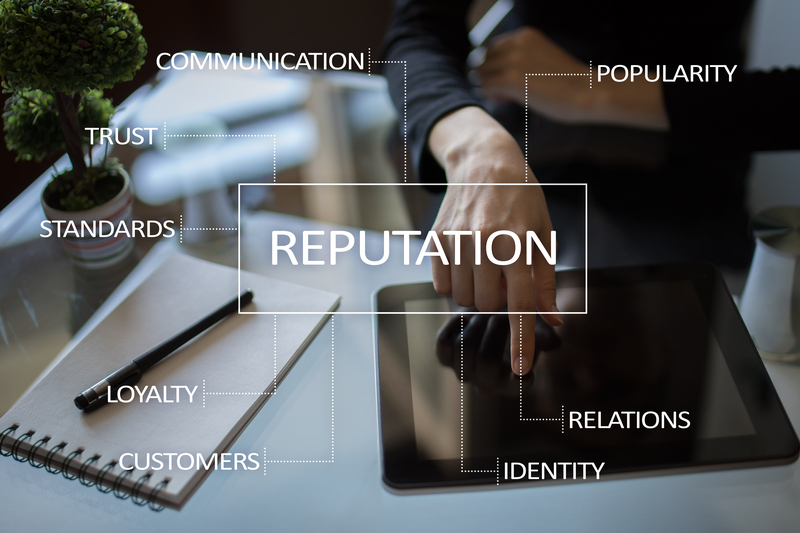 It’s imperative to be proactive in your reputation management, as your competitors are certain to be reactive when derogatory reviews are posted. The numerous benefits of reputation oversight are priceless. Individual companies with great customer reviews make more money and incur lower costs—many even court full press requests! Your high standing translates into less money invested in advertising and marketing, as the satisfied consumer will serve as your goodwill ambassadors in the marketplace, spreading your story with positive commentary and sharing your goodness with their friends and colleagues. The alignment of these three factors is a precarious balancing act, demanding thoughtful and meaningful planning and oversight, lest your reputation come crashing down around you. So who reinforces and maintains your stellar corporate reputation? The simple answer: everyone in your organization. The careful, proactive and consistent management of your reputation is the orchestration of logo, imagery, mission, vision and core values. These critical elements are the guiding light of your internal culture that will—if respected—create a ripple effect, dramatically impacting you, your company and those you serve.